By nature, father-daughter dance songs are a little bit sappy. But you don't have to choose a trite song that your guests have heard at every wedding. Here are dozens of non-cheesy father-daughter dance songs from every genre. I almost included this song in the "classics that might be overplayed" section, but I think it's still fresh enough that your guests will enjoy it. The lyrics make me cry a bit when I think about my dad. You may already know this quirky sweet song from the "Knocked Up" soundtrack. I like it because it's not too fast, not too slow, and it honors all the things dad has taught you. The sweetness of Ben Folds love songs make several of them work as father-daughter dance songs, but this one was written for his little girl. If your dad's nickname for you was "Sweet Pea", this song is adorable. You may get a few chuckles when people realize that this is a cover of the Guns n' Roses classic hit, but for rock and metal lovers, this is a great way of including GnR in your wedding without alienating the grandparents. This is a lovely way for a dad to say he'll always be there for his little girl. The dads of today's brides are more likely to be Led Zeppelin fans than swing music fans. Appeal to your dad's music taste with a little classic rock. It's hard to say exactly what genre Redbone's music belongs to. His interpretations of early 20th-century music cover rock, folk, jazz, and bluegrass. It's old fashioned while being just a teensy bit modern too. Otis always makes me swoon, and this is a particularly great song for fathers and daughters. This is not only a really fun song to dance to, but it repeatedly celebrates the love of a father and daughter. Bill Evans wrote this Jazz piece for his niece, Debby, then Gene Lees added poignant lyrics. Though the song without vocals is beautiful, make sure you get an arrangement that includes them. Another song that's written about a romantic love, yet whose lyrics work for a father-daughter dance. I love Ella Fitzgerald's vocal version of this movie classic. This New Country song captures the best of a parent's advice to their child. When you listen to the lyrics of this song you'll see it has a touching sentiment. It might be about a father who has passed away but that message is far from overt. The lines that repeat - "And everywhere I am there you'll be" and "You were right there for me" make it a good choice for a father-daughter dance. Country-western artists seem especially good at writing lyrics that are perfect for this moment in a wedding. This song expresses how hard it is to give his little girl away, while still acknowledging that he wanted her to find someone to love. Though it's a little slow, the lyrics for this song are perfectly made for the father-daughter dance. 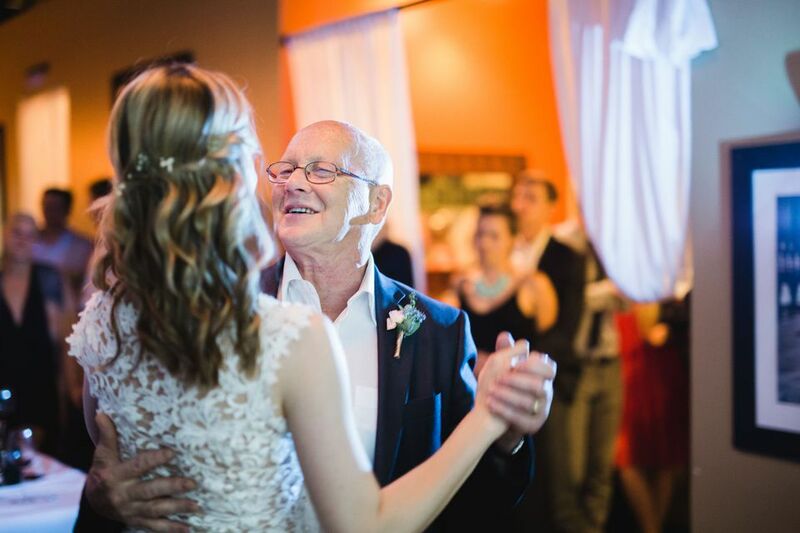 These are tried and true songs for the Father-Daughter Dance that are a bit cliché, but are still well-loved. "How do you thank someone who has taken you from crayons to perfume?"